With Summer already upon us, it’s time to plan that next well earned break in the great outdoors to experience the spectacular landscapes and scenery of the Lake District. 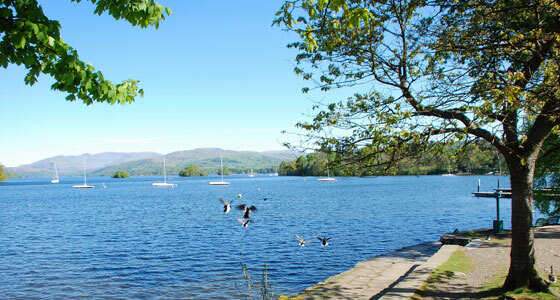 We are only 15 minutes from the southern shores of Lake Windermere and within easy driving distance of some of the areas many other famous attractions. If you decide to give the car a break too during your stay we can provide details of local walks or you can even take the local steam train to access the Lake Windermere cruise boats! This package includes 2 nights bed and Cumbrian breakfast, plus a packed lunch each on one day and a complimentary bottle of house wine if you book dinner on one night in our stylish restaurant, we are offering this break to you at an exclusive rate of £215 per couple, equivalent to just £53.75 per person per night. If after a days activity you are in need of some relaxation time access is also complimentary to our impressive Cascades Leisure Club complete with indoor pool, steam room and whirlpool. Or perhaps let the stresses float away with the addition of an indulgent treatment in our recently refurbished Spa facility. To book your Summer Break, just book with reception upon checkout or alternatively call 015395 31133 quoting ‘Summer Break’ and we’ll organise the rest.